PRESENTING S'FISO NCWANE – South Africa's supreme Gospel artist. 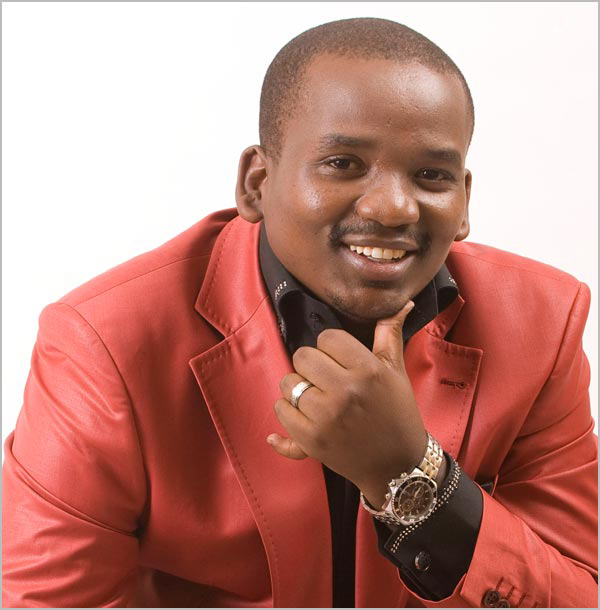 S'FISO NCWANE was born in Port Shepstone, Kwa-Zulu Natal on April 21st 1979. In spite of coming from a very poor family background, S'fiso discovered his God-given talent: being blessed with an amazing musical ability. He started singing at the age of 8, and when he reached 10 he began singing isiCathamiya gospel songs. DURING the mid-nineties he started playing keyboards, bass guitar and drums. He was eventually spotted by a man who opened doors for him to sing professionally. He then recorded his very first album entitled Vulamasango, meaning "Open The Doors." S'FISO NCWANE recorded his first professional album with Bula Music. This album was titled Makadunyiswe.This work introduced him to the world of big-time Gospel Music. THE following year he released INOMBOLO YASEZULWINI. This became a big seller. IN 2003 he released UMKHULEKO and believes that this track was a Godsend. It changed people's lives, it brought hope to many, and it sold like hot cakes. This album was No. 1 on all South African radio stations. Next he came up with the self-titled S'FISO followed by THE BEST OF S'FISO NCWANE. S'FISO was then approached by CCP RECORDS, which is part of EMI RECORDS. HIS career was moving very fast. His first release with EMI was BABA NGIYABONGA and his last was ISIPHEPHELO SAMI. S'FISO NCWANE then launched his own music company because of his love for music. His album BABA NGIYAVUMA is the first from S'FISO NCWANE PRODUCTIONS. BABA NGIYAVUMA was the first S'FISO NCWANE album to be distributed and part marketed by Revolver Records. This has been a huge seller and is way past Platinum Record status. S'FISO has done a lot of work to thank his fans and the community at large. He has opened the S'FISO NCWANE BURSARY FOUNDATION. FROM this foundation he has given school uniforms to more than 100 kids and has donated R10 000 to a local school. HE recorded an album for motherless kids in Johannesburg. AND so to July 2011 with the release of his brand new album KULUNGILE BABA. This is another smash hit. It has lit up the airwaves nationwide and has been featured extensively on TV and in the print media. This will be another Platinum plus seller. KULUNGILE BABA is again distributed and part marketed by REVOLVER RECORDS.